Household work is frustrating and yet essential for survival. We all hate it. Admit it. We do. And once in a while, we are encountered with the decision to select a mixer grinder that fits all our needs and the one which doesn’t put us in this situation for at least half a decade. So, let’s cut directly to the chase. We have compiled all the information necessary for you to help you get acquainted with every nook and corner of a Mixer Grinder and also suggested the best mixer grinders currently available. Welcome to Mixer Grinder 101! 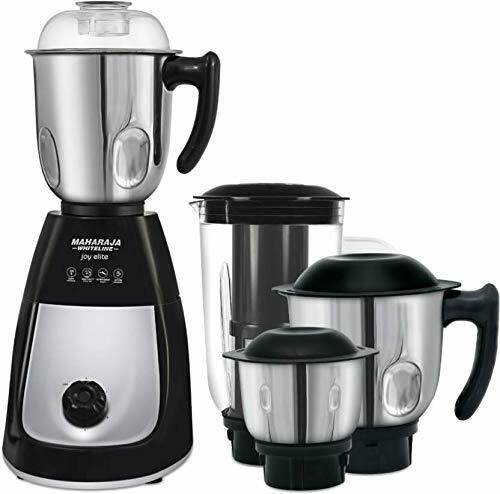 Difference between Normal Mixer Grinder and Mixer Grinder Juicer? 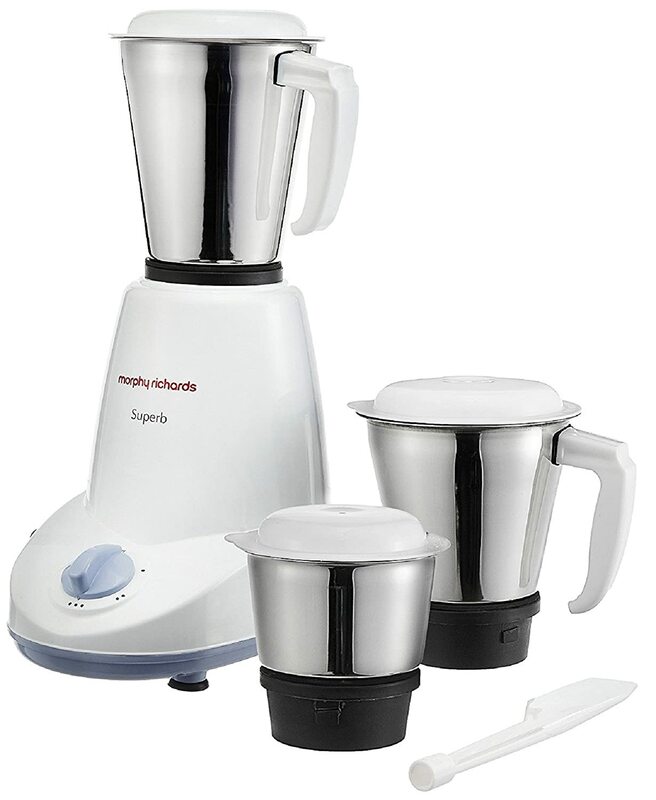 Difference between Normal Mixer Grinder and Wet Mixer Grinder? Which brand provides the best mixer grinder in India? Is there any silent mixer grinder available in India? Juicer– Juicer is an appliance solely dedicated to the process of extracting fresh juice from all kinds of fruits and vegetables. 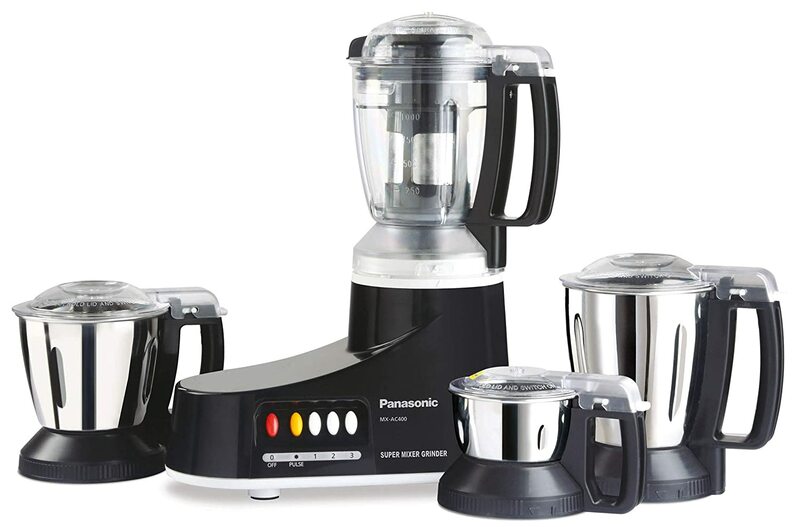 Blender– Blender is a specialized device particularly used for preparing smoothies and cocktails. Mixer– It’s a device used for mixing and beating food. Its primary purpose is mixing a variety of cooking ingredients present in semi liquid state. For example- vegetable pastes, purees, chutney, whipping cream, food batter and kneading dough (Available in specialized variants). Grinder– Grinder takes care of the solid aspect of food and is used for converting food articles such as pulses, spices, dry fruits, coffee beans, meat (Available in specialized variants) etc. into very fine pieces or powdery substance. 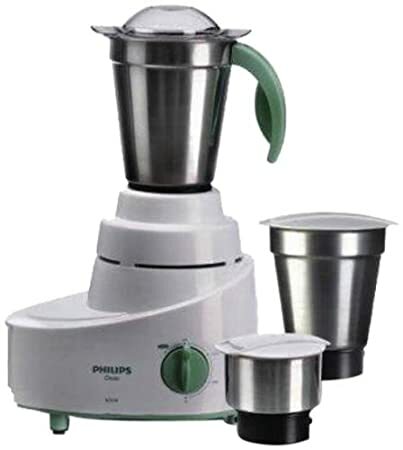 Mixer Grinder (Mixie)– Mixer grinder is a 2 in 1 machine which combines the features of both mixers and grinders. It consists of 2 jars of different sizes i.e. one large and one small. Larger jar serves the purpose of a mixer whereas smaller one is designated for grinding dry food present in solid state. 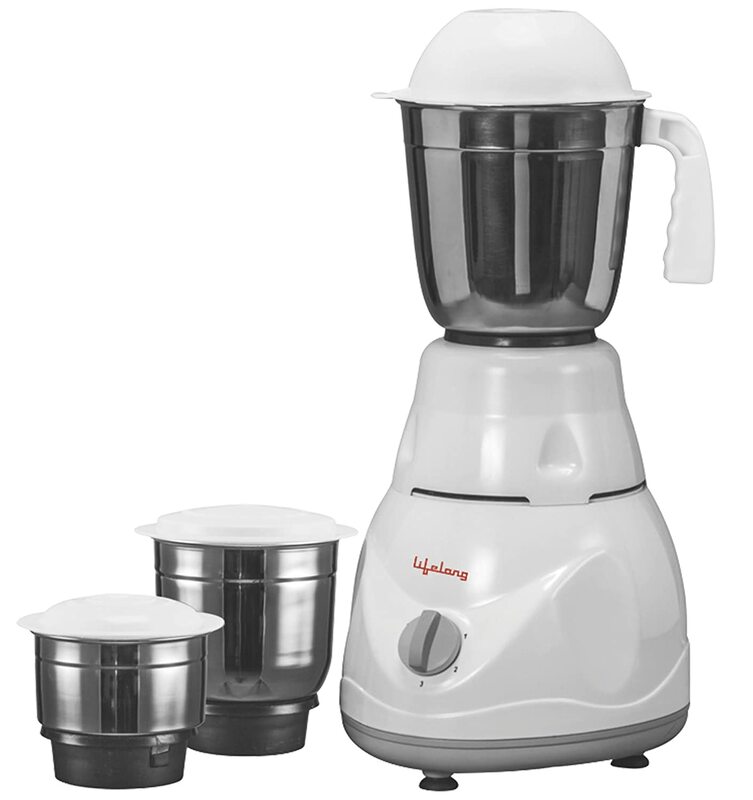 Juicer Mixer Grinder (JMG)– Juicer Mixer Grinder as the name suggests is a 3 in 1 device which serves the purpose of extracting juice along with mixing and grinding functions. 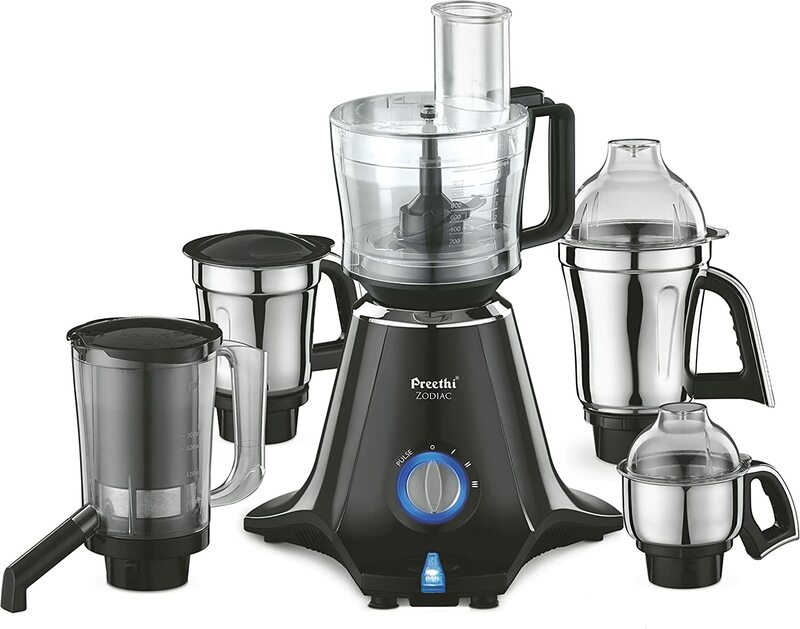 Food processors– Food processor is the Big brother of the Mixer Grinder family which means it can perform all the functions that are mentioned above (except juicing). This appliance consists of a variety of blades and jars which can be used interchangeably according to the desired requirement. It can be used additionally for slicing and grating vegetables along with preparing batters, pastes grinding spices, lentils etc. Design and Quality– A sleeker body design provides premium look and is easy to fit into any corner of your kitchen. Jars should be preferably made of steel which increases their durability as compared to plastic ones and jar size should be selected according to individual requirements. Also, look for sharper blades as they assist in smoother functioning of the equipment. Safety– Consider investing in an appliance in which the machine would not start until the lid is properly fixed on the jar. This feature prevents spilling of the material inside the jar and also significantly reduce chances of accidents. Wattage– For a longer life of your mixer grinder, opt for an option providing more wattage. The more the wattage, the lesser are chances of motor burnout. Try opting for one with auto power cut feature which breaks the circuit temporarily in case of over load. Brand Service– A machine is bound to wear and tear and breakdown. Thus, to avoid further hassle, chose a brand with higher credibility i.e. better record of after sales service. Spare part availability and quick service should also be considered. The main characteristic that differentiates Juicer Mixer Grinder from a traditional Mixer Grinder is its size and number of jars. 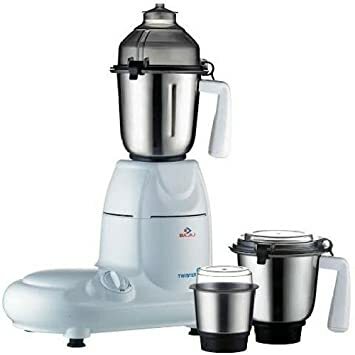 A mixer grinder is comparatively smaller in size and includes 2 jars for mixing and grinding purposes whereas a Juicer Mixer Grinder is bigger in size and includes 3 jars with the additional jar for extracting juice along with the respective jars for mixing and grinding. 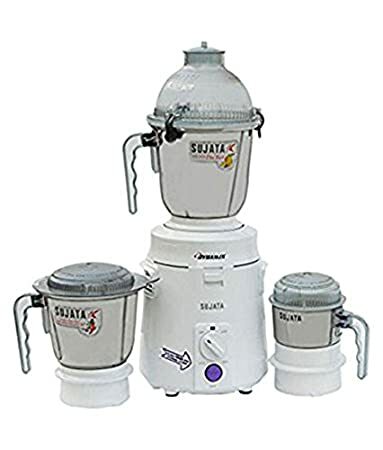 This list comprises of the crème de la crème of the Juicer Mixer Grinders available in the market. Warranty Service Type: Customer needs to carry the product to the nearby Authorized Service Center to get the product repaired or inspected. 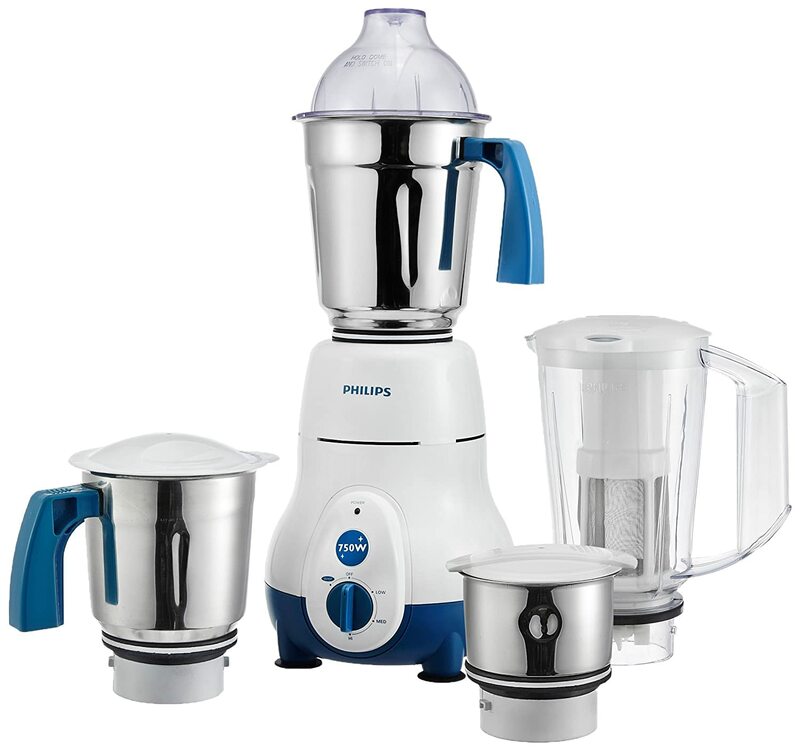 The specially designed blades and power packed performance motor of 600 watts help this Philips mixer grind even the toughest ingredients to perfection. The mixer is also designed with an advanced ventilation system that prevents the ingredients from getting heated up. 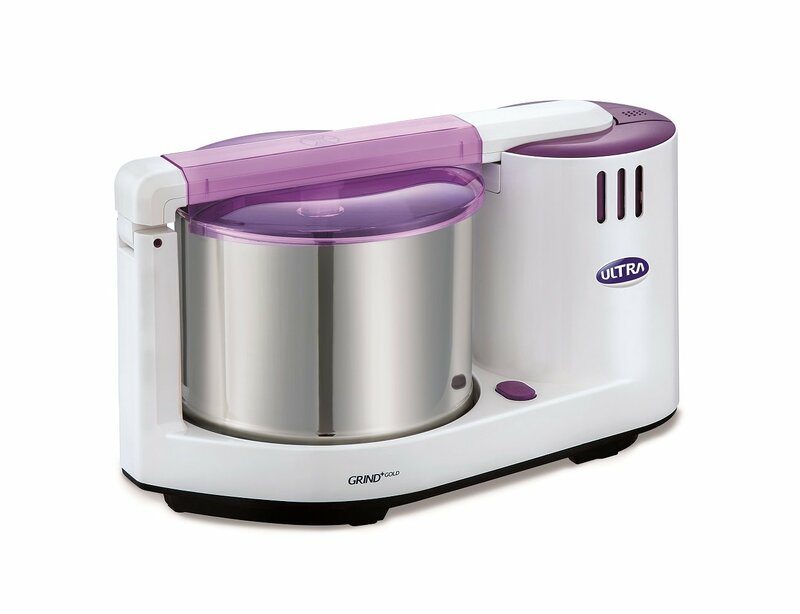 Wet Mixer Grinder is used strictly for the purpose of batter preparation for Idli, Vada etc. and sometimes kneading dough and Atta. Whereas a Normal Mixer Grinder is used for grinding dry and relatively wet items such as lentils, spices, chutneys, purees etc. 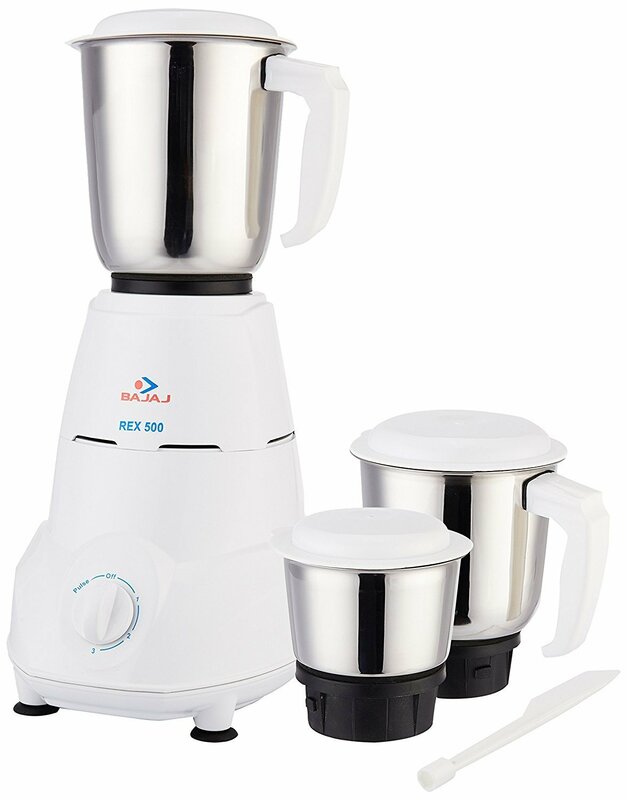 If you live in a nuclear family where batter preparation is a rare phenomenon, then a normal mixer grinder can be used for limited quantity batter preparation although the process requires more effort and time as compared to a Wet Mixer Grinder. Stainless Steel drums and anti-rust material. Are there any silent mixer grinders available in India? India is a country of people with myriad cultures and ethnicities fueled by the common love for food. We cannot survive the day with a breakfast of cornflakes, bread and butter and need a hearty breakfast like Chole bhature. Thus, most of the dishes produced require hard work and a variety of ingredients blended to perfection and grinders are designed to serve that purpose. With plethora of options available under different brands, each with its unique qualities to suit respective consumer needs, it is quite impossible to stage one brand as the best of the lot. So, we have compiled a list of the Top 10 Mixer Grinders to help you with the same. Choosing a Mixer Grinder can be tricky tasks with loads of brands and variants flooding the market. Such information often confuses the buyer to the point of pulling one’s hair off. No need to worry. After extensive research, we have listed down the best of the best products to help you easily pick out one according to your requirements. 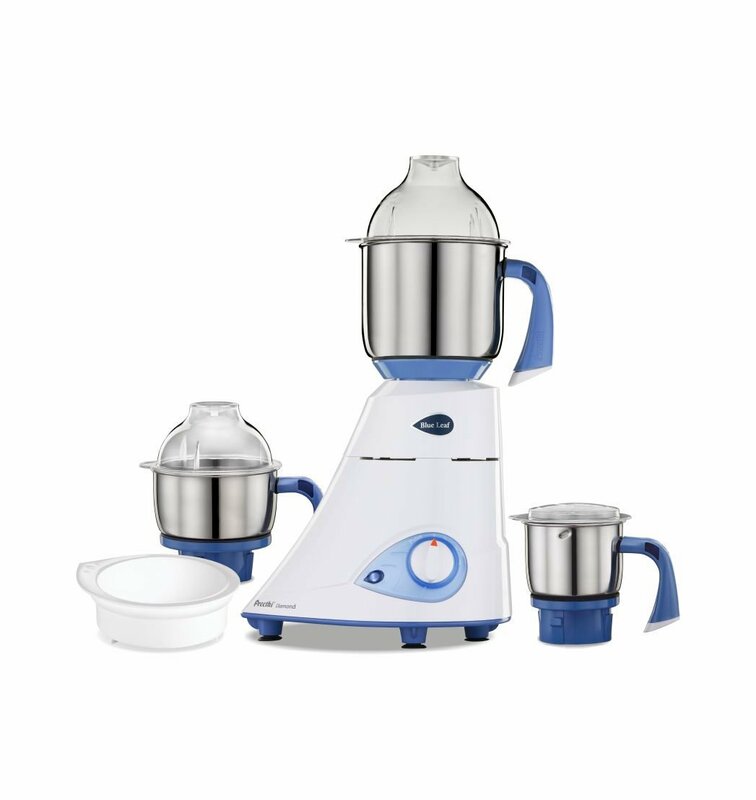 Sujata dynamic is a practical and compact option for everyday kitchen needs. It has 3 stainless steel jars for varied applications. The dome jar is for tough wet grinding like idly paste, while the other 2 jars are for dry grinding and chutney grinding. If your budget doesn’t allow you to go beyond Rs.1000/- then don’t you worry, we got something for you under 1000 as well. 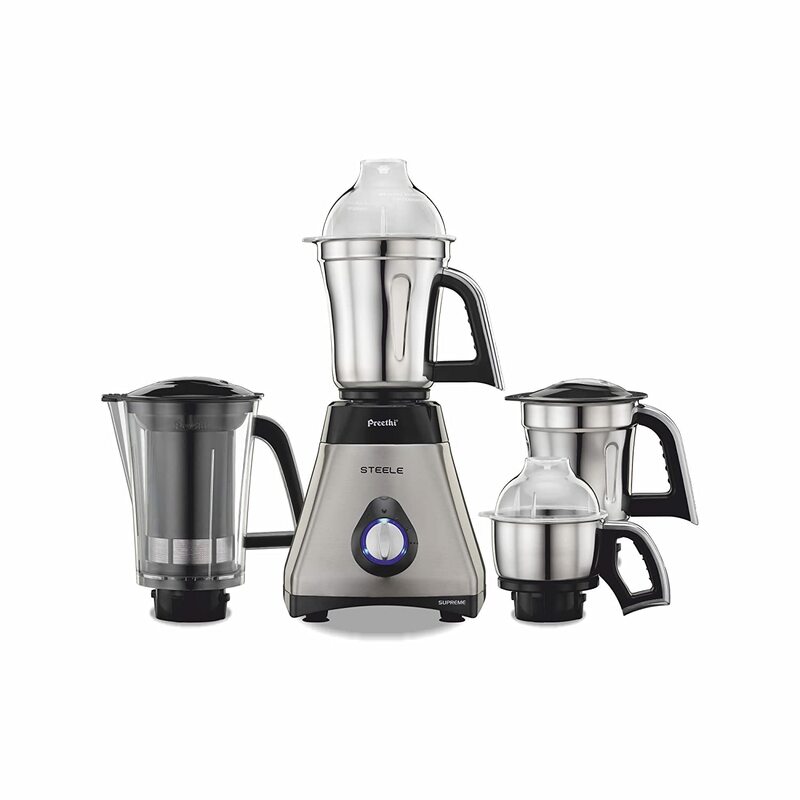 Here’s a list of best selling juicer mixer grinder that comes under the price range of Rs.1000/- only. Now that you are well acquainted with the ins and outs of Mixie, here are a few tips and tricks to elongate the life and usage of your Grinder. Proper cleaning and maintenance of your appliance is highly important as it is subject to a lot of hard-core mixing and grinding (pun intended). Do not over-fill contents in the jar to prevent heating up of appliance. Ensure that the jar is locked properly before usage to avoid spilling and damage. While using the device, move from a lower to higher speed level and don’t jump directly to higher speed to avoid pressure on the motor. Always switch off the device after every use.